A bustling industrial town and termed as the gateway to Rajasthan, Bhiwadi in Alwar district is a Tier 2 city spread over nearly 5,300 acres having over 2500 operational industries. This town has seen development at a really fast pace and is one of the important towns in India to see a boom in terms of growth and development. The main reason for this is its locational advantage as this industrial town is connected well to various big cities like Delhi, Gurgaon, Faridabad and Jaipur. Bhiwadi has a clever participation of industries which helps in giving employment to number of people and hence encouraging a lot of people to become residents of this place. The land prices in cities like Gurgaon and Delhi regions have sky rocketed a lot that people are moving to regions like Bhiwadi where the lands are available at affordable prices and makes living easier for all the people. 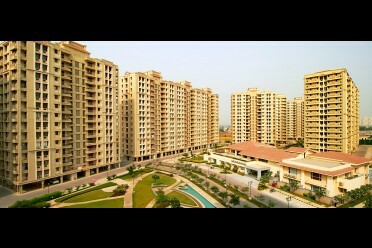 Why Bhiwadi is a Better Place to Live than Gurgaon? Bhiwadi is just 55kms from the Indira Gandhi International Airport, New Delhi and a perfect destination for all the middle class people. The real estate in these regions has also developed on a large scale, thereby making it a hub for commercial and residential activities. Bhiwadi also has all the features required for a good residential area which makes it a comfortable living for all the people there. Connectivity is the main advantage as it has attracted a lot of investors and helping in the boom of Bhiwadi. Many developers have been very smart in making their mark at this booming industrial location. Bhiwadi is a place that is available with all the recreational activities, hotels and other facilities and have set their foot in Bhiwadi. Since Gurgaon is close they certainly would not miss the feeling of not being in a metropolitan city. Bhiwadi is a place very well suited for the middle class family and I am sure that all the families will enjoy their stay at this booming Tier 2 city. Many big companies have relocated to areas like Gurgaon and Bhiwadi making it an important centre for all the activities. So definitely Bhiwadi is the preferred destination for buying a house that is economical, affordable and most importantly a comfortable living. Bhiwadi has seen good infrastructure growth with schools like Bal Bharti, St. Xavier’s, Modern Public School, DPS (Rewari) already functional. There are malls and multiplexes for entertainment. We don't deal in plots, we do have residential apartments. We do have properties starting from RS.26.34 lacs onwards in Bhiwadi. The only challenge with an independent housing is that the maintenance is a little hassle. That's why people nowadays to prefer to stay in a housing society.